We ask that only one adult per child attend. Siblings may attend if in a carrier or seated quietly at the side of the room with books. Please no toys. What a special time Level 2 is for both parent and child! In class, you will be amazed at your toddler’s budding creativity as you encourage your child to initiate his own ideas and respond in his own way through singing, movement, and the playing of instruments. 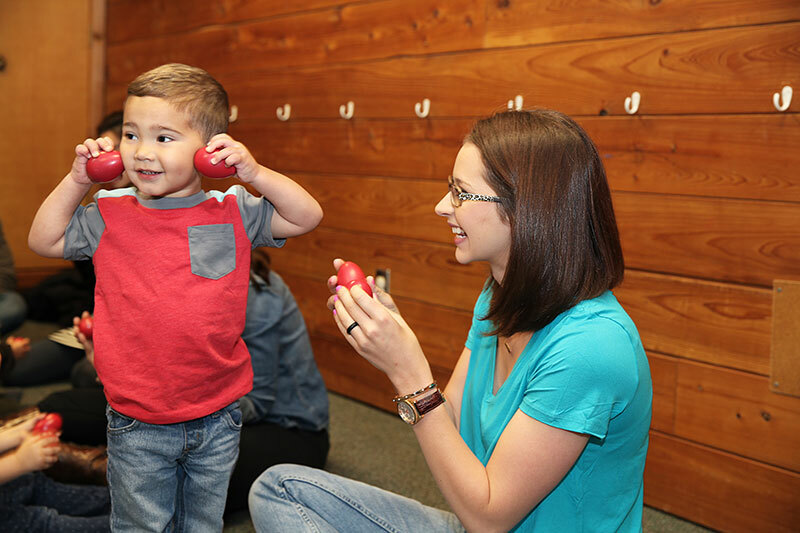 With you right there as his best teacher, your little one will uncover an engaging musical world while building confidence, self-control, and communication skills in an accepting environment. Your Kindermusik teacher will guide you every step of the way in this delightful musical adventure and will give you wonderful parenting tips along the way. From hoops to parachutes, you and your child will have the very best time of your week through music! What will my toddler and I experience in Kindermusik class? You will enjoy age appropriate songs and rhymes to help your child find his singing voice, encourage his speech development, and foster an appreciation of many styles and genres of music. 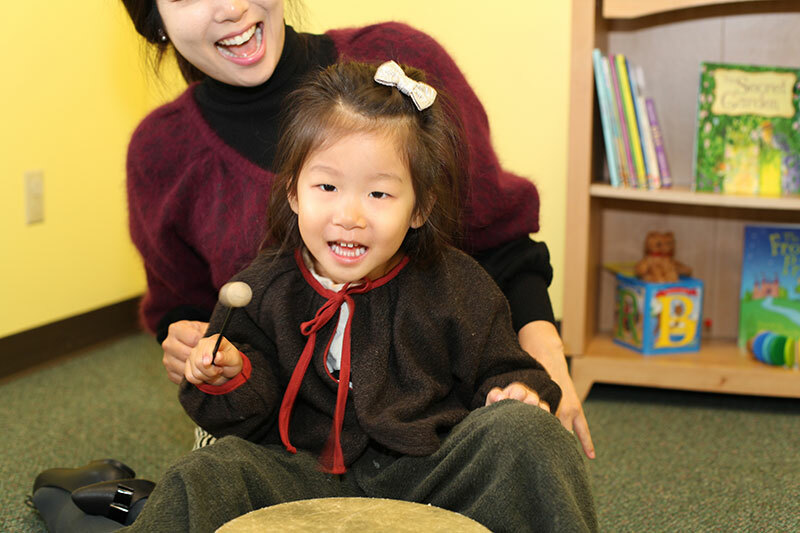 “Play is a child’s best work.” What fun for a toddler to explore a variety of instruments such as drums, bells, etc., while playing in a social setting with joy. Instrument play-along activities are first steps in developing ensemble skills, be it a musical group or a sports team. Research tells us that children need to move to learn. And, children naturally love to move to music. Fun and learning abound through circle dances, creative and expressive movement with or without scarves, hoops and other props and pretend play. Through movement, your child develops steady beat, vocabulary, creativity, and self-awareness. 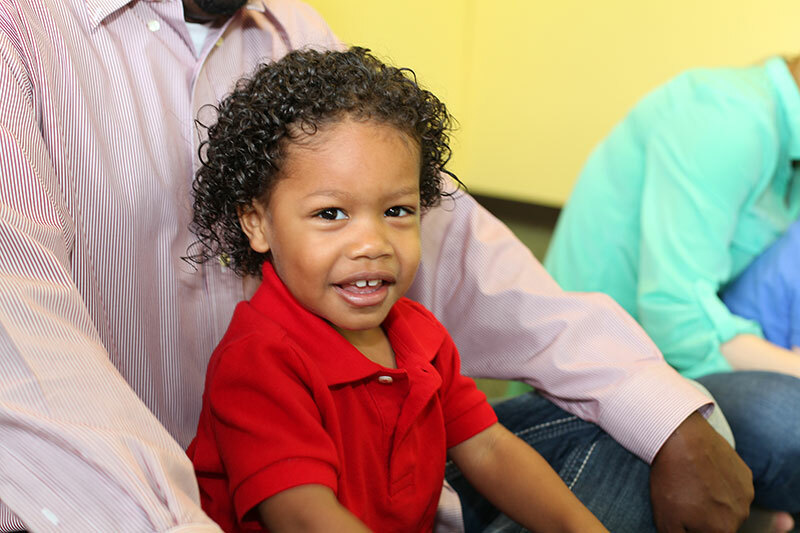 Story time is a delightful time of class when you and your child listen, laugh, chant, and sometimes sing together! 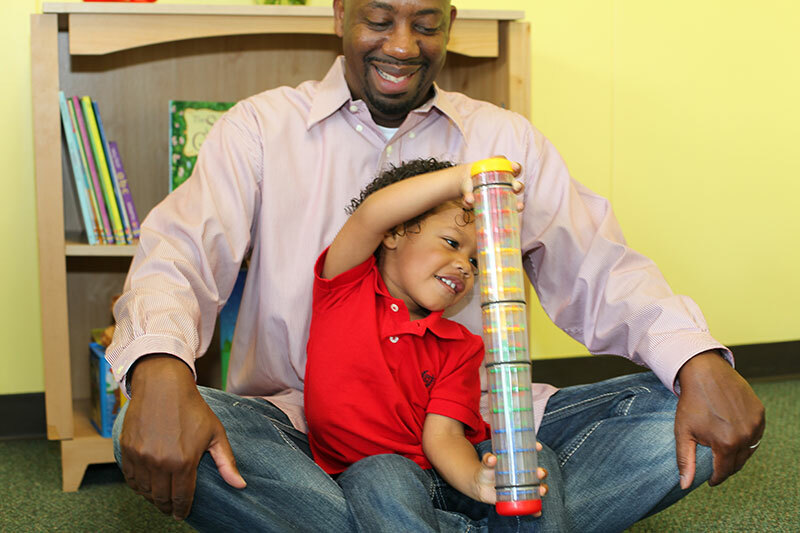 During story time, your child’s language and speech skills are being enhanced, as well as his love of reading. 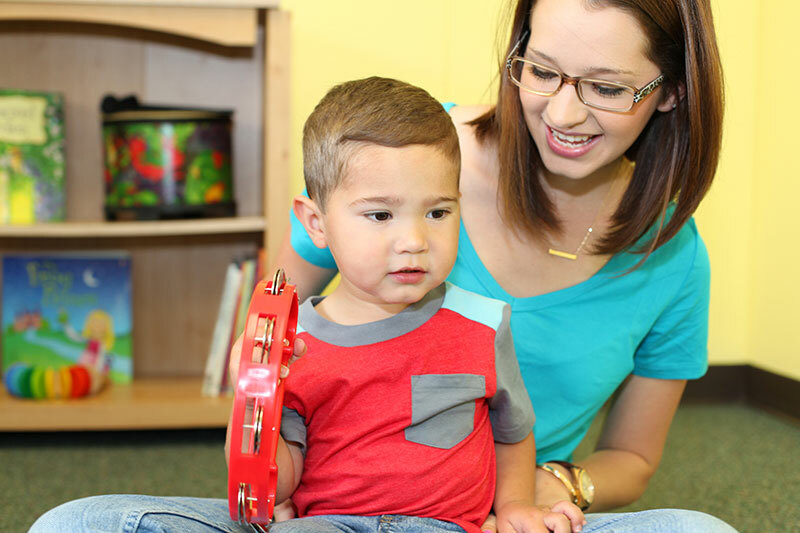 A Kindermusik Educator explains “what-to-watch-for” every step of the way and explains how each activity enhances a child’s complete development. Rhyme Around Town: Up and at 'em! Use your imaginations to hit the town: Down the street to the bake shop, the cobbler's shop, the grocery store, and even the doctor's office as we move, move, move through our busy, busy day. Then, back home again to relax and get ready for bed. Come along for a great adventure as we Rhyme Around Town! Dance a seashell dance, pretend to wiggle toes in the sand, move like whales, count with an Octopus, splash and sail, and so much more! These engaging activities emphasize the learning focus: “I can experience and learn to understand the musical terms legato (smooth and connected) and staccato (detached and jerky).” Grab your sunglasses—it’s time for Beach Days!